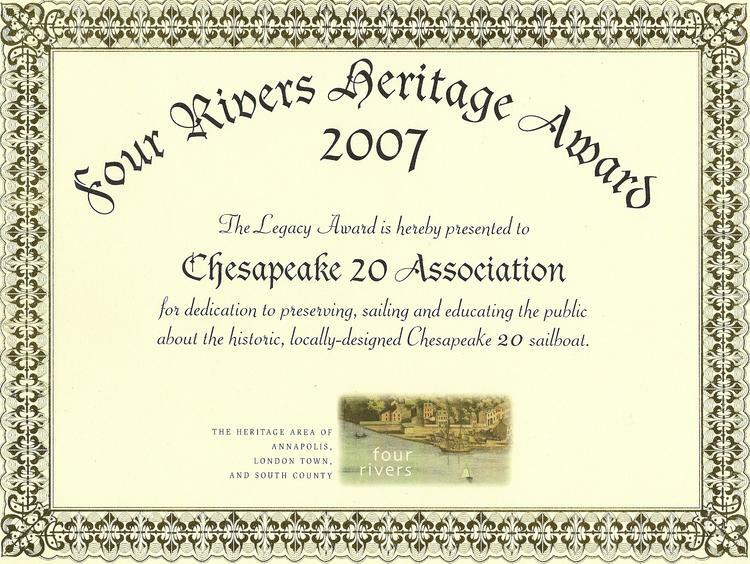 In 2007, we received a Four Rivers Heritage Award under its legacy category for the preservation, sailing and education of the public about the historic, locally designed Chesapeake 20 sailboat. 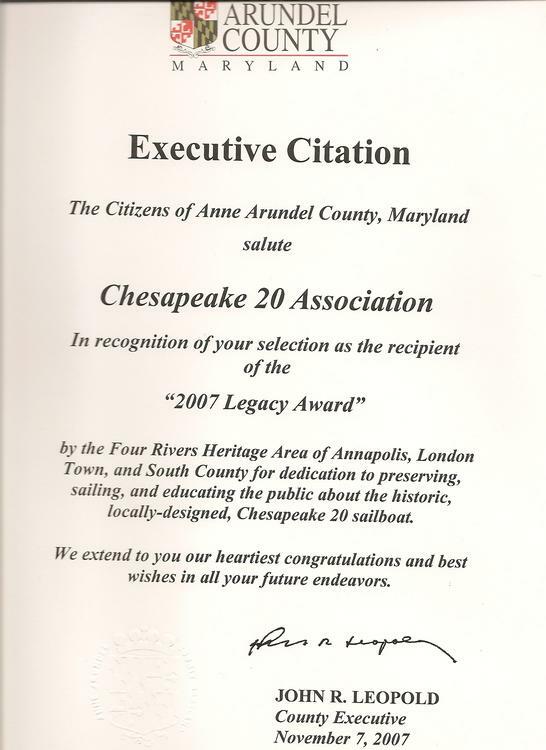 Consequently, we applied for a mini-grant to register our historic boats with the Maryland Inventory of Historic Properties, develop an archival website and carry out public educational activities in conjunction with our Nationals in 2008 at the Annapolis Maritime Museum (AMM). AMM helped us in sponsoring the mini-grant since organizations had to be 502(c)3s. In conjuntion with the award, we also received commendation by John Leopold, County Executive of Ann Arundel County.